Familiarize yourself with the stats of each item and armor piece available in Apex Legends. In Apex Legends, players have the opportunity to loot different healing items, shields, and armor pieces in order to increase their chances of surviving until the end of a match. These items not only come with a specific rarity attached, they also have unique stats based on their rarity and function. In order to help you develop a strategy for your next match, be sure to check out our previous guide on the drop areas with the best loot in Apex Legends. Once you’ve picked out an area where you want to drop, you’ll want to keep an eye out for special items and armor while picking up your favorite weapons. Wondering what each item does? We’ve got you covered! Below, we’ve put together a comprehensive guide featuring all item and armor stats in Apex Legends! You can use healing items to restore HP, and armor like the Body Shield to prevent damage in Apex Legends. To start things off, every item in Apex Legends boasts a different rarity with each level of rarity being easily identifiable based on color. Common items are plain grey, Rare items are blue, Epic items are purple, and Legendary items are yellow. To boost your survivability, you’ll want to loot for armor pieces. In Apex Legends, you have the ability to equip Body Shield and a Helmet. The higher the rarity, the more effective your Body Shield and Helmet will be. Something useful to keep in mind is that even if you already have an armor piece equipped, if you find one of a higher rarity, you can quickly swap things out by interacting and equipping the new armor piece. In doing so, the previous armor piece will be dropped and the new armor piece will automatically equip. Body Shield (Common): Absorb 50 damage. Body Shield (Rare): Absorb 75 damage. Body Shield (Epic): Absorb 100 damage. Body Shield (Legendary): Using Finishers fully recharges shields. Absorb 100 damage. Helmet (Common): Reduce headshot bonus damage by 30%. Helmet (Rare): Reduce headshot bonus damage by 40%. Helmet (Epic): Reduce headshot bonus damage by 50%. Helmet (Legendary): Reduce Tactical and Ultimate recharge time. Reduce headshot bonus damage by 50%. In addition to Helmet and Body Shield items offering defensive protection, you can rely on shields to prevent HP damage. In Apex Legends, all Legends have shields which can be used to absorb up to 100 HP damage in total. Once a shield has been depleted, you’ll need to recharge it using items like Shield Cells or Shield Batteries. Even better, if both your shields and HP have been impacted, you can use a Phoenix Kit to both restore your health and recharge your shield! Shield Battery (Common): Recharges 25 shield points over the course of 3 seconds. Shield Cell (Rare): Recharges 100 shield points over the course of 5 seconds. Phoenix Kit (Epic): Recharges 100 shield points and restores 100 HP over the course of 10 seconds. Items like the Phoenix Kit can both recharge shields and restore HP in Apex Legends. Believe it or not, it’s fairly easy to take HP damage in Apex Legends, even with max shields and a Legendary Body Shield equipped. Fortunately, there are two different healing items available in Apex Legends able to quickly bring your HP back up to normal which we’ve listed below. Syringe (Common): Heals 25 HP over the course of 5 seconds. Med Kit (Rare): Heals 100 HP over the course of 8 seconds. Finally, there are three miscellaneous items to keep an eye out for while playing Apex Legends. First, there are Knockdown Shields which let you avoid taking additional damage after you’ve been knocked down. This is useful, as reviving a downed teammate is a lot easier and quicker than respawning a teammate after they’ve been eliminated. Additionally, there’s a Legendary Knockdown Shield that allows you to revive yourself once. Note that an enemy can still use their Finisher on you, even if you have the Knockdown Shield equipped and in use. As such, we recommend crawling away from the fight and into a safer area while your teammates attempt to take out all of the enemies nearby. By tucking yourself in a safer area, you can also increase your odds of being revived during the fight as your teammates won’t have to risk taking damage (and potentially being knocked down in the process) while reviving you. Next, to increase the number of items you can carry around with you, you’ll want to pick up a Backpack. The higher the Backpack rarity, the more items you’ll be able to store. Lastly, if you’ve spotted an Ultimate Accelerant and have been curious as to its purpose, the Ultimate Accelerant is able to recharge 20% of your ultimate ability. By using the Ultimate Accelerant, you’ll be able to have your ultimate ability available for use a lot quicker. Knockdown Shield (Common): 100 damage protection while knocked down. Knockdown Shield (Rare): 250 damage protection while knocked down. Knockdown Shield (Epic): 750 damage protection while knocked down. Knockdown Shield (Legendary): Can revive yourself one time. 750 damage protection while knocked down. Backpack (Common): Adds 2 additional slots to your inventory. Backpack (Rare): Adds 4 additional slots to your inventory. Backpack (Epic): Adds 6 additional slots to your inventory. Backpack (Legendary): Adds 6 additional slots to your inventory. Reduce the time health and shield consumables require by half (for example, Med Kit time would reduce to 4 seconds from 8 seconds). Ultimate Accelerant (Rare): Recharges 20% of your ultimate ability over the course of 7 seconds. By familiarizing yourself with all of the armor and item stats in Apex Legends, you’ll be better prepared to handle whatever the game throws at you. It’s recommended that players scavenge as many of the items listed above as possible, though if your space is limited try to prioritize stronger items like Med Kits over Syringes. 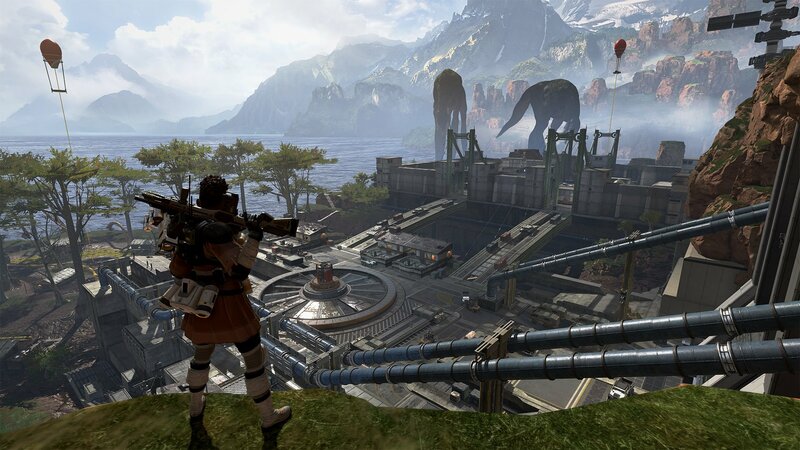 Apex Legends is free-to-play and available on PC via Origin, PlayStation 4, and Xbox One. 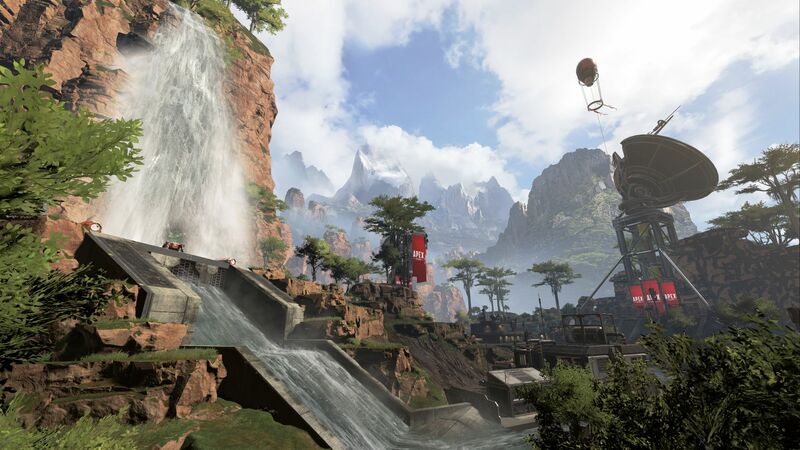 For more on Apex Legends, be sure to check out some of our previous guides including how to fix the party not ready error in Apex Legends, the complete tier list for all eight characters in Apex Legends, and the best weapons in Apex Legends.